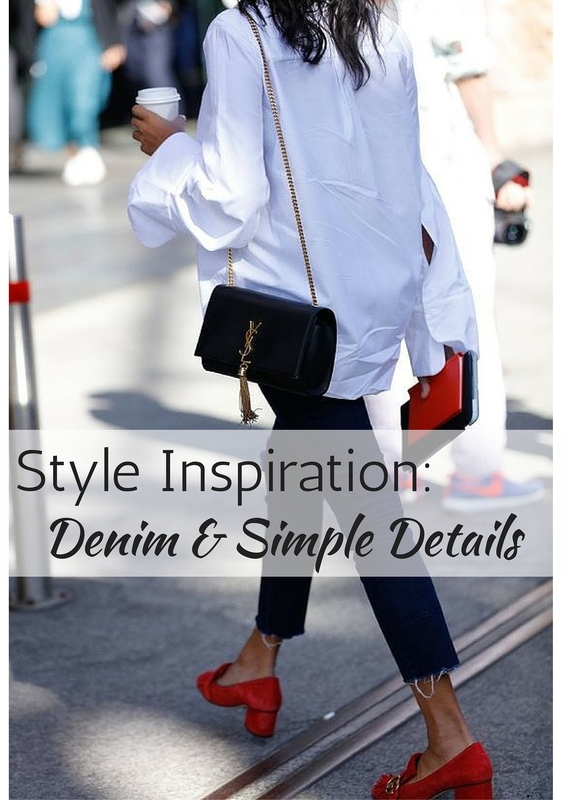 Summer-time, for that matter anytime, means denim-time, but denim can always be dressed up and even worn as the fashion elite do to the fashion weeks held around the world as seen above. How? It’s all about the details. 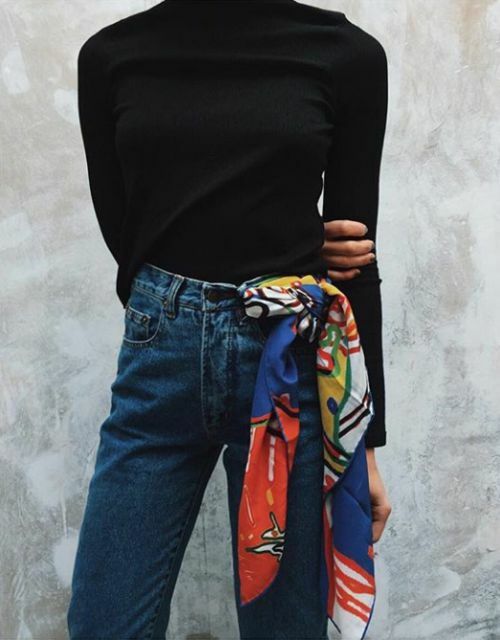 From statement shoes, much like the Gucci suede loafers above, to the quality handbag, a beautiful scarf worn uniquely or with a beautiful silk blouse or colorful top, denim is the essential, foundational, casual meets stylish item to have in your closet. Oh, those red shoes are fantastic! 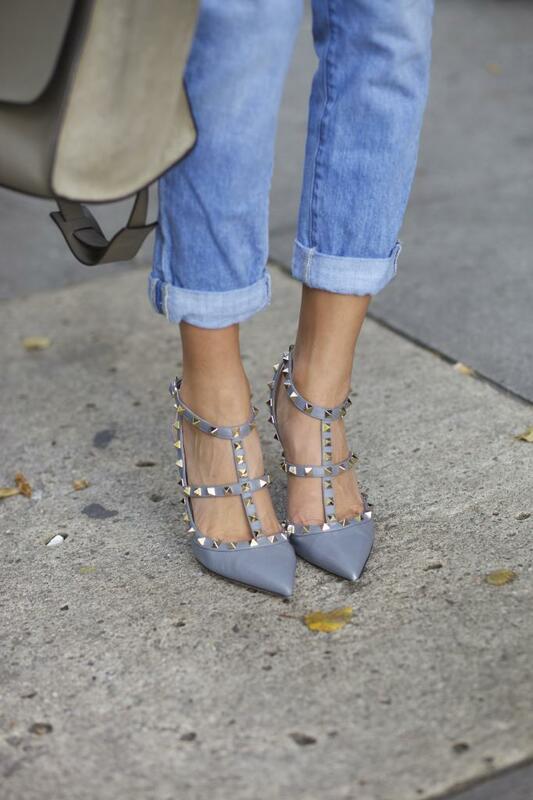 The color, the heel! For looks, I really like photo #3. Very Audrey Hepburn. I learned a new practical tip! I can attach my scarf to belt loop if I’m too warm. I usually tie it on my wallet on a chain and sometimes find it heavy. Yes, Princess. Do you remember I was looking for the ultimate t-shirt in Paris last spring? The best are a brand from the US, Velvet, worth every penny. Thanks for the fabulous fashion ideas Shannon. 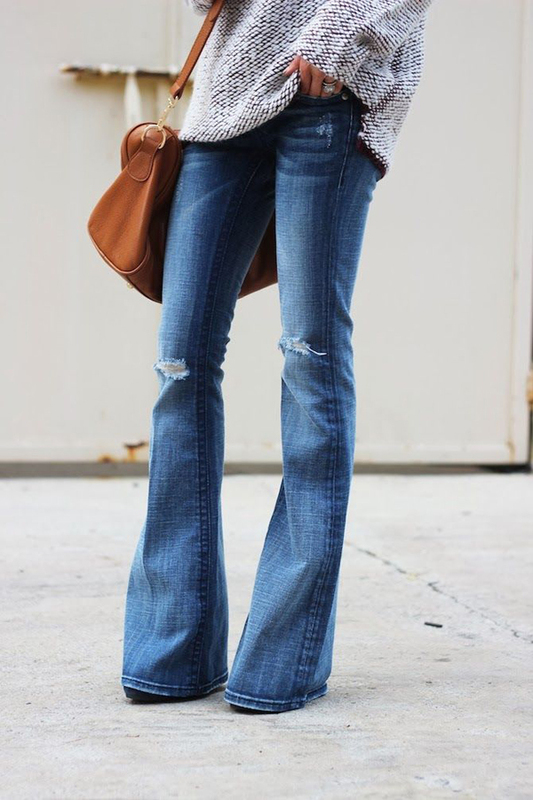 I love denim – so versatile!